The people who are referred to as Berbers were originally found in North Africa. Today, the Berbers cannot be found in Morocco, Algeria, Mauritania, Mali and Egypt. 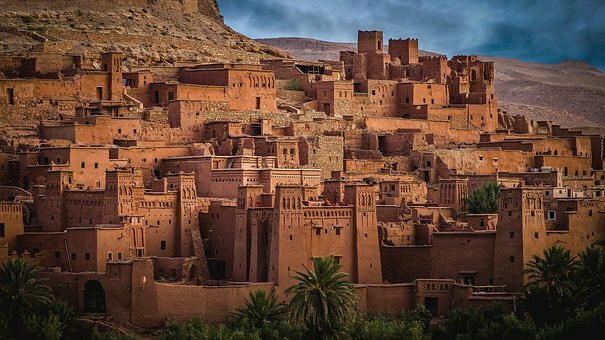 Parts of the Berber civilization were said to have been influenced by the Arabs. This piece discusses several ways in which the Arab influence was felt by the Arabs. One of the major influences of Arabs on the Berber civilization is in the area of religion. Before the coming of the Arabs, the Berbers were mainly Christians. However, with the conquest of the Margrib by the Arabs the Berbers began to be Islamized. By the 11th century, the Islamization of the Berbers had been largely competed. Soon, the Berbers had adopted many significant aspects of the Islamic practice such as their system of marriage, their mode of inheritance and also their system of political administration. Another aspect of Berber civilization, which was influenced by the Arabs, was education. The Arabs introduced their system of education to the Berbers and later the art of writing, reading and arithmetic began to spread. One unique feature of the Arab education was the “Madrasas”. The Madrasas referred to a boarding religious school. The popularity of the “Madrasas” brought a lot of enlightenment to the Berber people. Again, Arab trading activities was a major boost for the development of the Berber trade and commerce. In exchange for goods like jewels, spices, silk and perfume from Arab countries like Syria and Iraq among others, the Berbers exported cereals, wool and leather. Later, when the trans-Saharan trade emerged, the Berber merchants also partook in trading and commerce along the route. Another area of major influence of Berber civilization of the Berbers was their industry. The importation of certain items like perfumes, soaps, developed to a height when industries began to spring up for the local production of these commodities. 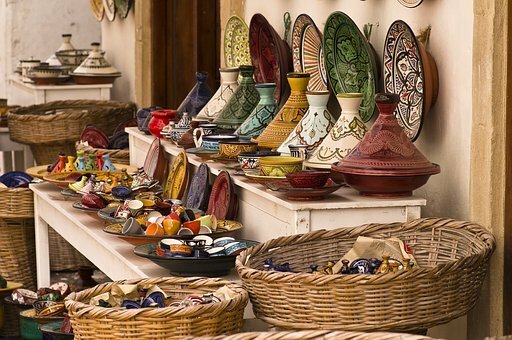 In addition, there was the development of the commercial production of pottery during the Berber civilization. Initially, pottery was imported from Phoenicia but later, the art of pottery production was copied from the same Phoenicians and factories were established by the Berbers to produce the potteries themselves. Also, the Arabs influenced the banking and finance of the Berber civilization. As trade was booming and merchants were shuttling between their territory and Arab countries, some banks in Baghdad decided to open branches in the north of Africa, that is among the Berbers, to facilitate the smooth operation of the Berber merchants. These banks started to introduce instruments like cheques and letters of credit. This move improved the trading activities of the Berber merchants.